Ready for another post-IPO Facebook acquisition rumor? Israeli business publication Calcalist reports (in Hebrew) that the social networking giant is eyeing a purchase of face recognition technology company Face.com. Tech news blog Newsgeek, meanwhile, reports that the deal size could be between $80 million and $100 million. This is pure speculation at this point, and we currently don’t have any sources backing up the story, but it’s an acquisition that would make a ton of sense. In fact, Face.com has long been rumored to be an acquisition target for Facebook, even way before there was talk about the social networking company going public. From what we heard, negotiations between the two companies have been held a number of times over the years, but Face.com has so far rebuffed offers because of the ‘low’ price Facebook was willing to pay. We’ll see if this deal ever gets inked. Founded in 2007, Face.com offers accurate facial recognition software that could help Facebook users identify people in photos faster, both on desktop and mobile. Facebook, meanwhile, just launched a camera app for the iPhone of its own, acquired Instagram and may very well end up building not only a proprietary mobile operating system but even its own phone, and it is rumored to be interested in acquiring Opera Software to gain cross-platform browser products and expertise. A Face.com acquisition would fit neatly into those plans, but, again, a lot of this is hearsay and scuttlebut for the time being. We haven’t been able to reach Face.com CEO Gil Hirsch so far, but he’s apparently told Calcalist and Newsgeek reporters that there’s “no news to announce”. Update 2: we just talked to Hirsch, and he says there’s “nothing new to share”. Which is a non-denial denial that doesn’t necessarily mean anything. We’ll keep digging for more information and keep you updated. 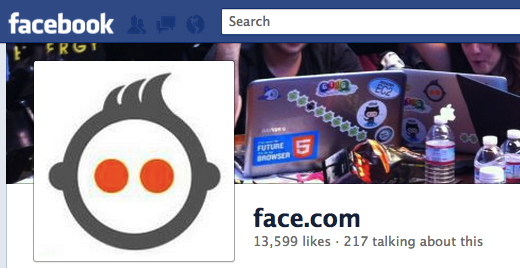 Face.com has raised $5.3 million in funding from Yandex and Rhodium to date.